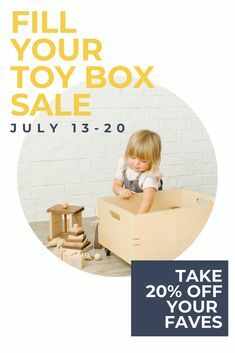 Fill your toy box with all of your favorite wooden goodies. Fill your toy box with all of your favorite wooden goodies. 20% off until July 20th! Wooden toys are perfect for any home.